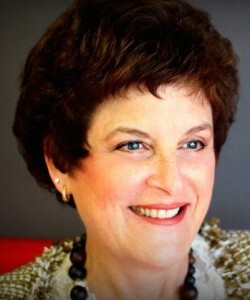 Dr. Gail Goldberg, is affectionately known as Dr. G by her patients and staff. Her passion for holistic wellness is reflected in her dedication to developing an individualized, integrative wellness strategy for each of her patients. Dr. G has over 30 years of experience and began her private practice in California. She founded Advanced Chiropractic after relocating to Cary, North Carolina in 1989. In addition to core chiropractic services and pain relief and management, Dr. G’s strong belief in holistic wellness has lead her to pursue comprehensive continuing education in the areas of nutrition, preventative care, energy medicine, and progressive alternative therapies. Her commitment to community and the belief that good health should be enjoyed by all is reflected in her practice. Dr. G’s dedication to the global community lead to her participation in a cooperative exchange program in Cairo, Egypt. There she worked with an orthopedic surgeon to exchange ideas, techniques, and investigate chiropractic treatments for some of his most challenging cases. Dr. G graduated from Palmer College with a Doctor of Chiropractic (D.C.). © Copyright 2016 Advanced Chiropractic Center | All rights reserved.